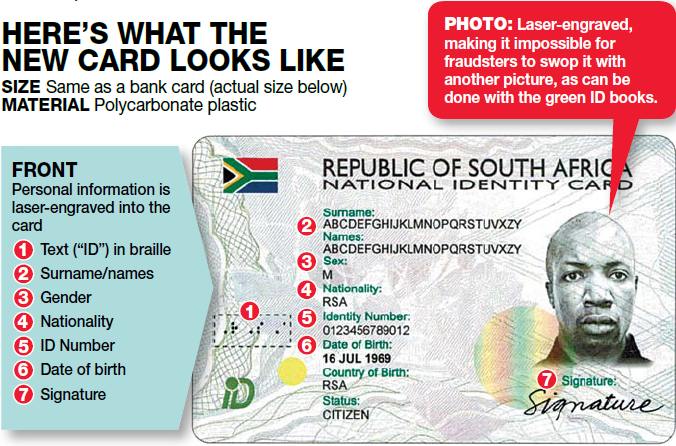 South African's green ID books are to be replaced with smart cards - they're hi-tech, compact and impossible to forge. The roll-out plan begins this Saturday. South African identification documents are going hi-tech as the old, fraud-prone green ID books will be replaced with new smart cards. 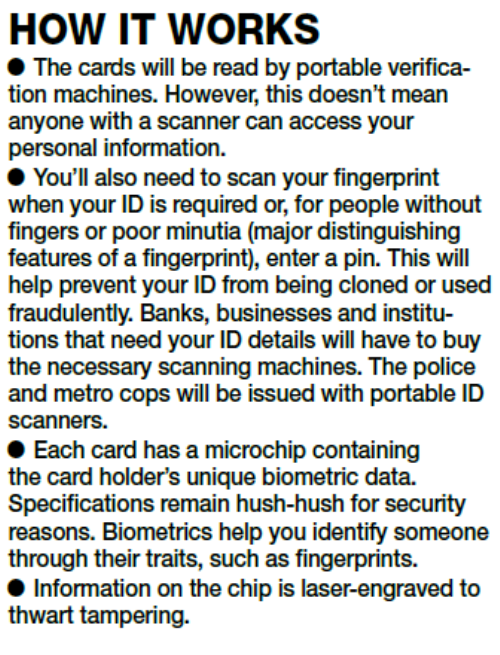 Home Affairs is hoping to issue at least 100 000 Smart-ID cards within the next two months. From next month first-time ID applicants, as well as those who need their IDs reissued, will walk out of their local Home Affairs office with an ID card no bigger than a driver’s licence. People will be called in to apply according to their month of birth, with pensioners born in January and February eligible first. “Sixty-year-old pensioners born during January and February must approach home affairs offices during the month of February to apply, from March this year, 60-year-olds and above can now apply in accordance with their months of birth. All other citizens should wait for invitations to apply," said director general of Home Affairs Mkuseli Apleni. This comes after a pilot project earlier this year in which a select group of people received smart cards to test the technology. The Department of Home Affairs believes the cards will cut down on the prevalence of fake or stolen IDs as these cards will be almost impossible to counterfeit. The move also forms part of the department’s process of moving towards a paperless environment, speeding up services and cleaning up its National Population Register, which aims to register all births in SA. 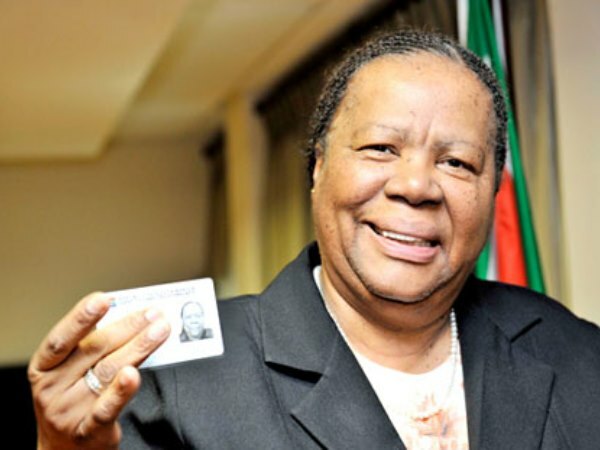 People with fake IDs had better watch out, warns Mkuseli Apleni, director-general of Home Affairs. “This is a security-tight process. Hard luck to those with fraudulent documents,” he says.